Kenny Ho Kar-king (born 29 December 1959) is a Hong Kong actor and Cantopop/Mandopop singer best known for his role as Zhan Zhao in the 1993 Taiwanese television series Justice Bao. Ho enrolled in ATV's training institute in 1982 and officially became an ATV actor after signing a contract with the company the following year. He starred in various ATV dramas, most notably the The Blood Sword series in 1990 and 1991, adapted from Ma Wing-shing's manhua series Chinese Hero: Tales of the Blood Sword. In 1988, Ho shifted his acting career to Taiwan and starred in his first Taiwanese television series, Ba Qian Li Lu Yun He Yue (1988 TV series) (八千里路雲和月) as the famous military general, Yue Fei (岳飛). The show was an instant hit and Ho became a household name. He continued making many television dramas produced by CTS, including Endless Love (不了情) opposite May Chin, Hongchen Youai (紅塵有愛), Shaonian Zhang Sanfeng (The Young Zhang Sanfeng) (少年張三豐), and The Book and the Sword. He has obtained a great level of fame in the Asian community for his portrayal as Zhan Zhao (展昭) in the 1993 Taiwanese television series Justice Bao. Ho has starred in several films in the 1990s including Dragon in Jail opposite Andy Lau, Family Affairs, Red Zone, and Red Wolf. 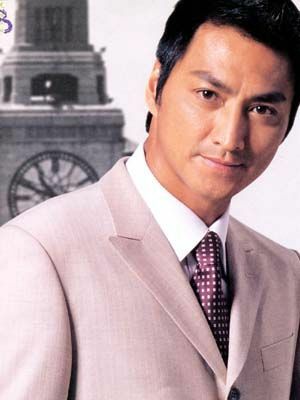 In 1997, he starred in the Taiwanese drama the Bodyguards series: Jade Dolls, Cryptic Crystal, and Heavenly Charm. 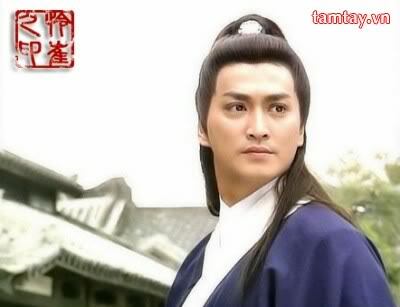 In 2009, he acted in the mainland Chinese television series Justice Bao. In the same year, he played "Nameless" in the Hong Kong film The Storm Warriors. In 2010, he starred in the film Love Cuts with Singaporean actress Zoe Tay.He recently appeared in Treasure Inn alongside Nicholas Tse, Charlene Choi, and Nick Cheung. 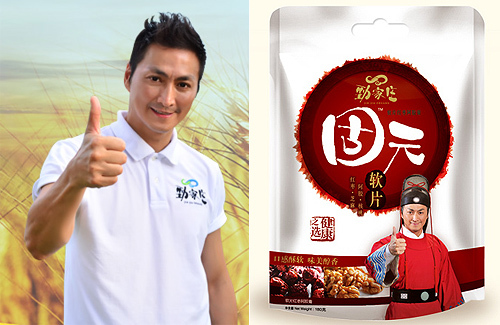 Hong Kong actor Kenny Ho (何家勁) is prepared to add “businessman” to his professional repertoire after opening a health food production company in Huizhou. In the entertainment industry for 30 years, Kenny has been a familiar face since his appearance in ATV dramas in the 1980s. Kenny’s popularity soared after 1993 Taiwanese drama, Justice Bao <包青天>, aired. His popularity was so high at one point that his image was even printed on shopping bags. However, Kenny knew that his fame would not last forever, so he took advantage of his good reputation in mainland China to form relationships that would help him dip his toes in the business world. Last year, Kenny partnered with a corporation to invest more than 100 million RMB in “Jin Jia Zhuang,” an all-grain health food supplier based in Huizhou. The name, which literally translates to “Jin Family Village,” actually comes from the name of Kenny’s international fan club. Aside from traditional retail distribution, the company also sells healthy snacks and breakfast drinks online. Since Kenny recently became a member of the Huizhou Committee of Chinese People’s Political Consultative Conference, it is no wonder that his efforts have been concentrated on this city. Last month, he also received approval to convert an 80,000-foot factory building into a Huizhou tourist attraction. Still a bachelor and decidedly fixed on never having children, Kenny joked that his businesses were now his children. In the future, he plans to focus all of his attention on securing quality inspection for the factory and on becoming an effective tour guide. I wish him the best of luck in this new venture.